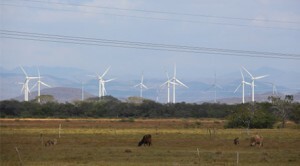 Wind power is booming in Mexico. With more than 3,200 megawatts in operation, the country is on par with Japan. By 2018 it expects to have 10,000 MW installed as part of the government’s Climate Action Plan. Scratch the surface of that boom, however, and you’ll find uncomfortable truths: land rights conflicts and perceived inequities in access to the cheaper wind power that are fueling fierce resistance to the wind farms among indigenous communities in the southern state of Oaxaca, which provides more than 80 percent of the total wind-power output of the country. Mexico’s experience is a cautionary tale of how the global transition to clean energy can leave the world’s poorest citizens behind — and why we need policies, new business models and financing schemes to remedy the imbalance. Close to two dozen wind parks now operate on the Isthmus of Tehuantepec, a stretch of land in Oaxaca just 120 miles (193 kilometers) wide from coast to coast. Mountain formations there create a tunnel that whips the wind up to 60 kilometers per hour (37 miles per hour), and resource studies show the region could more than double its current output — currently at 2,700 MW within a 463-square-mile (1,200-square-kilometer) area. The scale of the development is staggering. In one cluster of parks north of the city of Juchitán, hundreds of turbines spin for miles along the highway, towering over cinderblock homes, schools and farm fields. And yet, “Not a single watt stays here in Oaxaca,” says Carlos Beas, director and founder of the indigenous rights group UCIZONI (la Unión de Comunidades Indígenas de la Zona Norte del Istmo de Tehuantepec, or the Union of Indigenous Communities of the Northern Zone of the Isthmus). 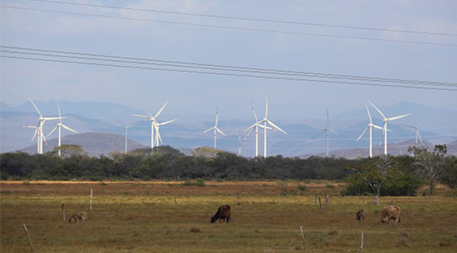 More precisely, community residents don’t benefit from the low-cost wind energy, even though most Oaxacans are connected to the grid. Companies like Walmart, Heineken, Cemex and Bimbo are tapping into the wind resource through power purchase agreements signed with wind developers and the Mexican Federal Electricity Commission, CFE. Plans are also in the works to add grid infrastructure that would allow the wind energy produced in Oaxaca to be exported to Texas in a cooperative venture between the U.S. Agency for International Development and CFE. For the indigenous communities, the Ikoots and Zapotec, who’ve suffered a long history of neglect and discrimination dating back to the Spanish conquistadors, equity is paramount. They contend it’s unfair that the low-cost energy (averaging 6.5 cents per kilowatt-hour) produced by wind turbines taking over their land should benefit the United States before it powers their own communities. A lack of transparency around the power purchase agreements fuels indigenous suspicions that companies are getting the energy for free, which is of course not the case. Indigenous communities also see minimal job benefit. Locals build the foundations, but when the parks are operational the only jobs they get are cleaning offices and picking up dead birds, Beas told me. Other community concerns span from loss of productive farmland, to bird kills, to the disruption of groundwater flows caused by the cement foundations, to farmers giving up their livelihoods to rent land to wind farms at rates too low to make a living. Most wind companies pay Mexican landowners 0.25 to 1.53 percent of the gross income produced by the wind turbines — about US$90 per turbine per month. Landowners in the U.S and Europe, in contrast, receive 1 to 5 percent of gross income, according to a study by the government-created Commission for Dialogue with the Indigenous Peoples of Mexico. More troubling are claims of land contracts negotiated in bad faith, of which there has been extensive reporting. Much of the land is communally held, and most indigenous landowners are illiterate and don’t speak Spanish, which leads to abuses. Of course, the issue is not uniquely Mexican. Kenya’s flagship wind project at Lake Turkana has similarly wrestled with claims of displacement from poor farmers, as has geothermal energy development in Kenya’s Rift Valley, where Maasai communities have lost access to vital grazing lands for their cattle. In northeastern Brazil, a 500 MW wind project sparked protests and roadblocks from residents of the fishing village Cumbe over “broken promises of employment and underfunded social projects” by the project developers, according to the Yale Tropical Resource Institute. Even in the U.S., concerns are mounting that the solar revolution is bypassing poor Americans and that deliberate efforts are needed to ensure that low-income households can tap into the economic benefits of solar energy. Certainly not all renewable energy projects neglect poor communities, but what can we do to ensure that the global clean energy race doesn’t leave anyone in the dust? Climate science urges rapid expansion of renewable energy, but hasty development can ignore the needs of poor communities that not only are the most vulnerable and least able to adapt to climate change impacts, but in some cases are being asked to give up their land and livelihood to meet the growing energy demands of people outside of their communities when their own energy needs are small. Clearly, countries need to develop legal and regulatory frameworks that encourage best business practices by energy developers. Oxfam, an international organization that works to fight poverty, recently published a brief describing best practices for environmental and social due diligence during the development of energy projects. 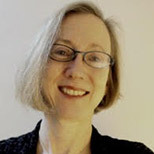 Though focused on Africa, its principles of transparency and community engagement — where deliberate focus is given to addressing the needs of the “energy poor” — are universally applicable. Land use is often a flashpoint in these conflicts, and like many countries around the world, Mexico has weak laws and institutions protecting landowners, especially communal landowners. Laws and regulations are needed — defining land values and devising protocols for rights disputes on communal lands, for example — to ensure there is a clear path toward sharing benefits from these projects. Policy frameworks are also needed to ensure large-scale renewable energy projects can be integrated into regional and national grids and not channeled solely through private interests at the expense of surrounding communities. Power purchase agreements need to be more transparent. Mexico’s electric power regulatory framework and market rules have not caught up to the renewables boom. The country is working on some reforms, but they take time. In the meantime, investors can play a critical role by scrutinizing the social and environmental impact of large-scale renewable energy projects. The World Wind Energy Association’s own guidelines for social due diligence of projects state that the groups affected by a project should be the first to benefit. Project financers should press companies on this and other key points addressing community engagement and benefit. Stepping up environmental and social due diligence can also help investors hedge their risks. Indigenous activists already blocked one wind farm from being developed in Oaxaca; such actions can hurt a company’s bottom line. Finally, more attention is needed on business models and financing schemes that incorporate the needs of the energy poor and do not assume that benefits will trickle down from industrial projects. Cooperative ownership is one such model. Off-grid solutions, like solar lamps and biogas harvesters, and community renewable resources supported by micro-grids can supplement or replace large-scale projects. If we allow the clean energy revolution to bypass the poor, we can expect increased social unrest, violence and refugee crises on a hotter, less stable planet. Let’s make sure that renewable energy fulfills its promise of creating a livable and prosperous future for all.